The Women’s Institute (WI) was formed in 1915 to revitalise rural communities and to encourage women to become more involved in producing food during the First World War. 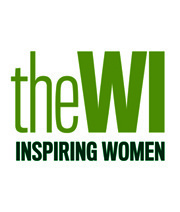 Since then the organisation’s aims have broadened and the WI is now the largest voluntary women’s organisation in the UK. The WI celebrated its centenary in 2015 and currently has over 210,000 members in around 6,600 WIs.
Kelsall WI was founded in 1933. We celebrated our 85 Birthday in June 2018, in some style! Currently, in November 2018, we have 51 members. Meetings are normally held on the first Wednesday of the month at the Kelsall Methodist Chapel, Chapel Green, starting at 7.30 pm. Visitors and new members are always welcome.